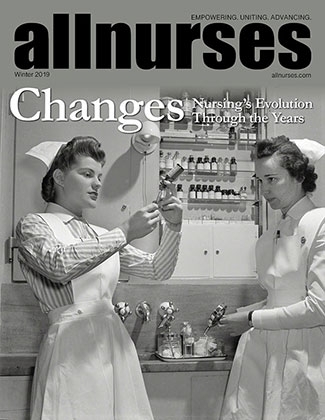 Renewal for Florida registered nurse licenses expiring April 30, 2016 is approaching. I'm in that group. First, here's a link to the Continuing Education (CE/CEU) requirements for renewal: Florida Board of Nursing Â» Page not found - Licensing, Renewals & Information If you need CEUs, and are looking for FREE online/self-study/home-study courses, this may help you. It is very important to use CE Broker because there are a lot of free courses available on the internet, but many of them are not board-approved. So you must find your free courses through CE Broker in order to eliminate that problem. A list of board-approved, free courses can be searched through CE Broker but it can be tricky to navigate. I put together a little set of Help Instructions for my future self as to how to search the thing and find free courses. Here it is - thought it might help someone else. How to search CE Broker for Free Courses ==================================== 1. Start by going to the CE Broker website ( https://www.cebroker.com/ ) and log in. 2. On top banner menu, click on "Course Search" and select "Search for Courses". 3. The first screen is a search criteria for "Course Type". To find online and home study courses*, select "Self Study Continuing Education Courses" and click on "Begin Search". 4. The second screen is "Search Options" where you can further filter your search: If you need a specific subject area, select that from the drop-down menu in the left box. If you are looking for general courses, select "general" or leave the radio button on "All". Leave "Delivery Method" radio button on "All" so that the results will include both Computer-Based Training (ie: online courses) and Home Study courses*. Leave "Search by Course Name" and "Provider" blank. Click on "Begin Search". 5. The third screen is "Review Results". Here is where you can sort the results by price. Under "Sort By" (on left-hand side), where it says "Random", change to "US $ Price" and wait for list to resort. If you would like to see more than 20 results at a time, under "Display" (on right-hand side), where it says "20", change to "100" (or desired amount). Now you can easily browse board-approved, FREE courses! ============================================= * FYI, best as I can tell, here is the difference between "Computer-Based Training (ie: online courses)" and "Home Study" courses: For Computer-Based Training (ie: online courses), the reading material and any videos are online on the provider's website. You must read and/or watch on their website. The material is not available for download (unless you do your own copy/paste). For Home Study, the reading material is available for download in either (and sometimes both) a PDF file and a Word document. You download it, read and study it, and then go back to the provider's website to take the exam. Are colors consistant across all brands of scrubs? Emmy, thanks for the reply. It's been a few weeks and I've seen exactly what you're talking about with the gap between the top and the bottom when you bend over or squat (bare skin). Some of the girls where I work do the same as you and it looks great! They even wear neon green or hot pink and it looks pretty cool. So I've come around on the long-sleeve t shirt and am not tucking mine in, either. So far, I've only worn my collection of white long-sleeve tees but I have a black one for winter and will get a few other colors. I know this is an old thread, but I've got a new position and a specific color I must wear (caribbean blue). I am having the same problem with matching that specific color between different brands. I've got tops that lean towards tealish-blue and pants that are so dark they are dark teal or almost forest green. But I wondered about the suggestion above. Do people wear a layered top that hangs out of (below) their scrub top? I wouldn't have even considered that; it seems like a sloppy look. Whenever I wear a long-sleeved t-shirt, I tuck it into my scrub pants. Do people wear an undershirt or camisole hanging out? How does administering PRN medications work?